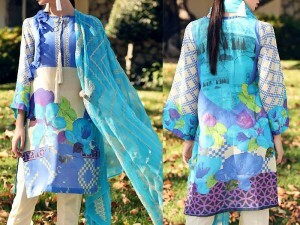 With summer being just round the corner, the Women's Lawn Suits fever is ON again in Pakistan. 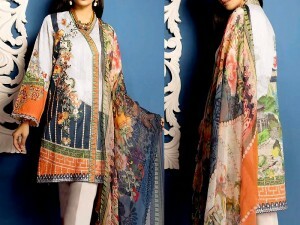 With a mix of beautiful colors in their various hues, the Latest Lawn Collection 2019 are ever ready to chill out the hot summer weather as designers begin to launch their new lawn collection 2019 one after the other. 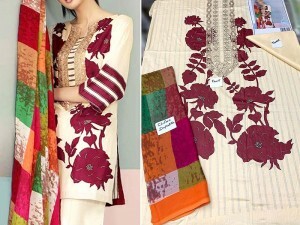 Some very famous Pakistani Lawn Collection that are highly awaited by women include Sitara Sapna Lawn Collection 2019, Al-Zohaib Anum Printed Lawn Collection 2019, VS Classic Lawn Collection 2019, Mehariya Luxury Lawn Collection 2019, RangReza by ZS Textile Lawn Collection 2019, Riwaj by Shariq Printed Lawn Collection, Naveed Nawaz Lawn Suits and Star Lawn Collection 2019 etc. 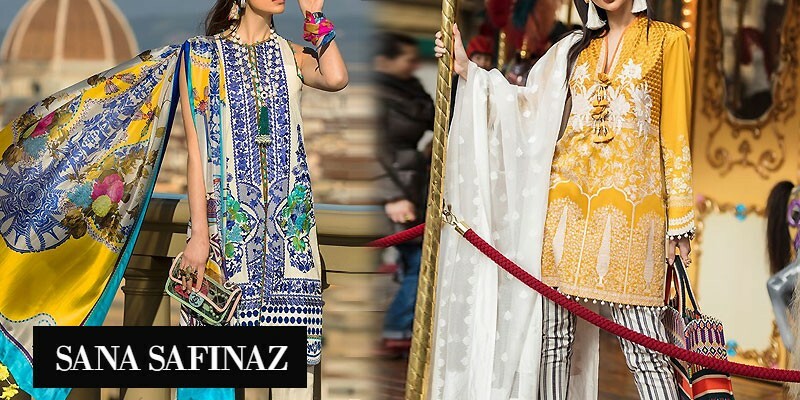 The list seems quite endless as lawn suits 2019 continues to gain popularity among Pakistani women and more and more designers continue to come up with newer and fresher lawn prints & lawn designs every day. Lawn is a finely woven fabric that was originally obtained from linen but now its chiefly made of cotton. The lawn fabric made of cotton is very soft and breathable which is why it is known as world’s finest cotton. It is crisp and lightweight and feels great on the skin in summers. Why Buy a Lawn Dress in Summer Season? The lawn fabric isn't fabric anymore, it's a canvas for designers - A canvas that is painted in fiery ways and vibrant colors to create breathtaking lawn prints and lawn patterns for women. Lawn also happens to be the only fabric that is kind towards the skin in scorching temperatures. Not only is it soft, Pakistani Lawn Dresses are also light and available in so many colors that one cannot settle for anything less. With the lawn fever at large, (which shows no signs of subsiding in the near future), the new Lawn Dresses 2019 for this year are getting ready to sweep off the ladies, with a few big names already displaying their lawn collection 2019 at their outlets and online shopping stores in Pakistan. Popular Pakistani Lawn Suits Online Shopping websites such as PakStyle.pk have already started to present the latest Lawn Collection 2019 in the Pakistan and there is more to come as designers flock up one after the other to reveal their 2019 Lawn Collections. 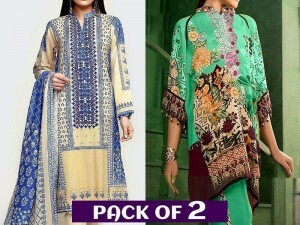 One reason to such immense popularity of designer lawn suits and the craze women exhibit towards them is owed to the desire of every woman to purchase a lawn suit that is unique and different from others. Owing to this uniqueness frenzy, women flock in crazily towards new law collections in an attempt to purchase before others do and before the print becomes common. 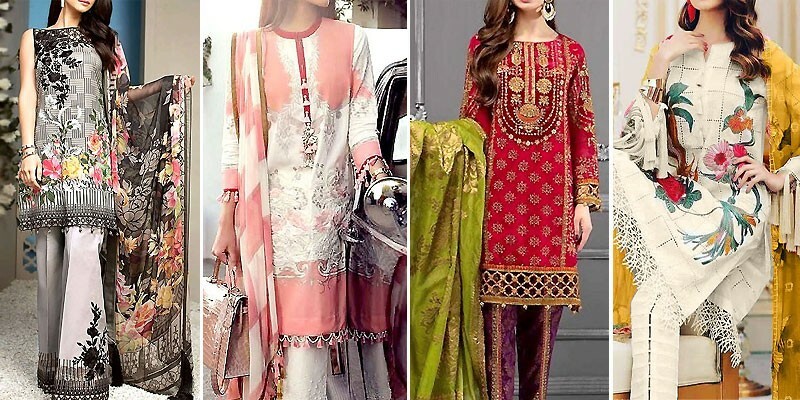 Designers realizing this market behavior indulge in regular issuance of latest lawn collection 2019 in episodes, launching new prints throughout the Spring / Summer 2019 season. Looking up the statistics, we have observed that the following type of Pakistani Lawn Suits are quite popular among Pakistani women. 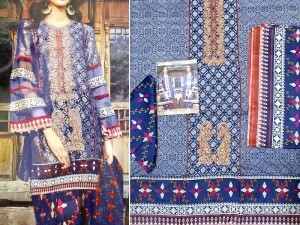 Designer Lawn Dresses: Every woman in Pakistan would love to get their hands on a Designer Lawn Suits. The reason not only being the quality of designer lawn fabric but also the beautifully colored patterns and lawn designs that make the lawn suits so irresistible. 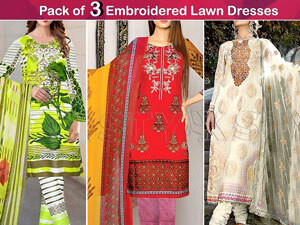 Embroidered Lawn Dresses: Perfect for adding some glam to the causal-looking lawn fabric. Embroidered lawn dresses are very famous among women for they serve as a great way to portray style and elegance in a weather that makes it impossible to sport something that is embroidered. Printed Lawn Dresses: Every year the designers may alter the colors, prints and patterns, but finesse and elegance seems like a consistent theme for them. 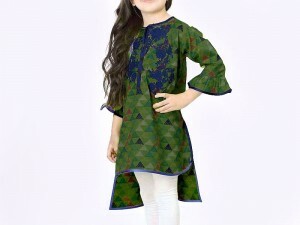 Printed Lawn Suits with their unique aesthetics and gleeful designs are so appealing to the eyes that it becomes impossible to ignore someone wearing a printed lawn dress. 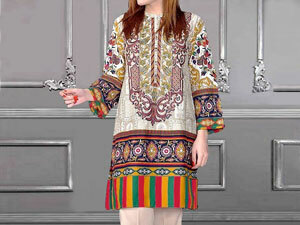 Summer Lawn Kurtis: Bold, vibrant and edgy – Lawn Kurtis reflect style in the best way possible. Lawn Tops can be paired with skinny jeans, trousers, bell bottoms and even skirts. A single lawn kurti can create multiple cool outfits so you don't have to stock up your wardrobe for the season; the very reason that keeps summer lawn kurtis a popular choice among Pakistani women. Al-Zohaib Anum Lawn Collection: The sweet candy color palette Al-Zohaib Textile use for their dresses has become their identity. Their exciting blend of traditional and contemporary styles and the diverse range of quality fabric are the prominent features of their clothing line to which they owe their success across the subcontinent. Al-Zohaib Textile is the only brand that believes style and cost-effectiveness go hand in hand. 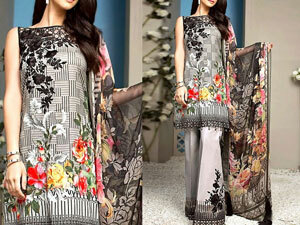 This can clearly be seen in their mindful selection of lawn fabric and designs for both formal and casual wear. Amna Ismail Lawn Collection: The Amna Ismail Lawn Collection 2018 is one of the most awaited collections in summer season which is arriving soon. Amna Ismail dresses are always according to latest fashion and season, the most preferred material of clothing women use to wear in summer season is Amna Ismail Lawn 2018. The Amna Ismail Lawn 2018 Collection is launched every year in different volumes with the best range of embroidered lawn dresses, printed lawn dresses and plain lawn dresses generally comes with bright tones like deep red, sky blue, purple, pink, parrot green, yellow, orange and many more. Amna Ismail Lawn Collection is the first choice for every woman in Pakistan because of their appealing designs, high quality material and low rates. Rashid Classic Lawn Collection: To beat the scorching heat, Rashid Textile Lawn Collection is considered as one of the best. The lawn fabric is so lightweight and soft that it's like wearing colors on skin. Rashid Textile Mills uses soft natural colors and soothing textures to balance the bright sunny days. Their prints portray nature in its truest essence, playful and refreshing. Their unstitched lawn suits consist of a printed shirt and dupatta with plain trousers that are perfect to be worn at home or at work. Each 3-Piece Unstitched Rashid Classic Lawn Dress contains 2.5 Meter Lawn Dupatta, 3 Meter Lawn Shirt and 2.5 Meter Trouser piece. Star Classic Lawn Collection: A label that is known for setting new trends for the youth; Naveed Nawaz Textiles Summer Collection always ceases the hearts of the young and the old alike. Their Star Classic Lawn Collection 2018 also known as Naveed Nawaz Lawn Collection 2018 is famous for its unique prints and premium comfort. The beautiful mix of floral freshness and the elaborate designs add a lively touch to their lawn collection. Star Classic Lawn 2018 is an amazing brand of Ladies Lawn Suits produced by Naveed Nawaz Textiles from Faisalabad. The company produced finest collection of Star Classic Lawn with Lawn Dupatta and Star Crinkle Chiffon Lawn with Chiffon Dupatta in attractive designs and colors. VS Classic Lawn Collection: VS Textile Mills, a name that surfaced the fashion industry in the year 2000 and has gained much popularity over the years. It is now ranked amongst the most prestigious textile mills of Karachi, Pakistan. VS Textile Mills specializes in manufacturing high-end Lawn Collection 2018 made out of the finest materials available with the help of the latest technology and equipment to meet the consumer's needs. VS Textile Mills is a symbol of quality and comfort since the last decade and a half and it continues to win the hearts of millions of customers even today. Where to find Women's Lawn Suits online? If you want to update your wardrobe for summer without breaking your bank, the best time to shop is in July or after it. But why wait when you can stay up-to-date with different designer lawn collections 2018 that are already launched or are soon to be launched, by following PakStyle.pk – the one stop-shop for all your summer lawn fashion needs! Lawn Suits addiction or so called the natural attraction of women towards the new and dynamic lawn dress designs by different designers have experienced a surge in the past few years, and the trend seems to be growing still, with more and more designers and textile mills are jumping in the arena. While many may be surprised at how often and regularly designer issue new lawn dresses 2018 collection, it is also a sign of everyone finding something new to appreciate every now and then. 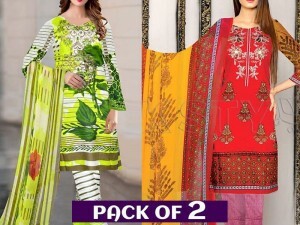 Whether you are looking for Designer Lawn Dresses, Embroidered Lawn Dresses or Replica Lawn Suits, you just have to browse through PakStyle.pk and buy your favorite lawn suits 2019 on sale price along with nationwide Free Home Delivery and Cash on Delivery service. 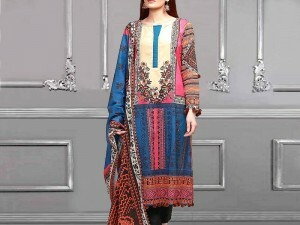 PakStyle.pk is the best waay to shop all types of clothing online. Pakistani lawn suits wholesale rates are also available for bulk buyers!